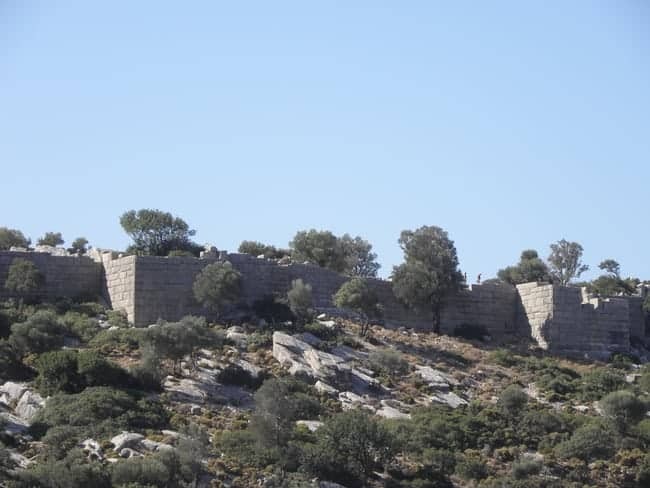 The northern wall of the great Rhodian fortress of Loryma. Have you ever heard of Loryma? 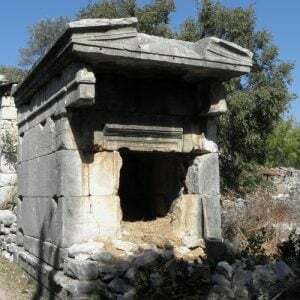 Chances are you have not, unless you are a specialist in ancient military architecture, or an avid traveller along the southwestern shores of Turkey. 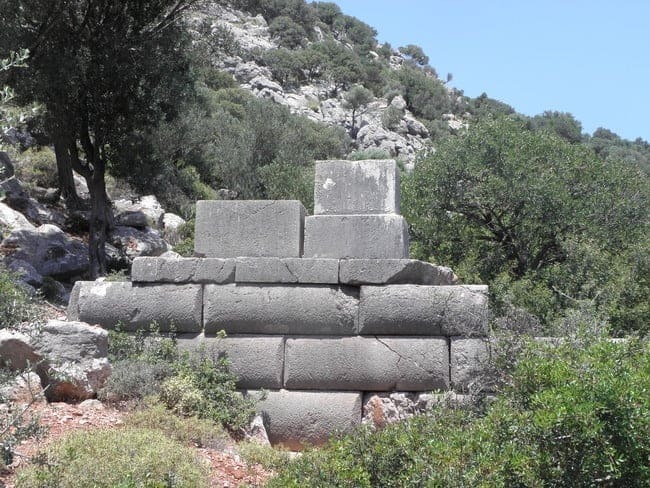 Loryma is one of those off-the-beaten-track archaeological sites that we are so eager to include in our itineraries, to complement the famous “must-see” highlights and to offer our guests a more profound and intimate impression of the regions we travel in Turkey, Greece and Italy. Like many of those sites, Loryma is by no means a second-rate monument – in fact it is a supreme example of its kind, a site that highlights a specific historical event and that represents a particular aspect of ancient culture while explicitly and implicitly drawing in many further facets of the past. In short, it is a place we use a jumping-board for a whole series of narratives about life in antiquity. View from atop the north wall of Loryma fort, taking in one of the bastions. That said, I still have not told you what Loryma actually is. 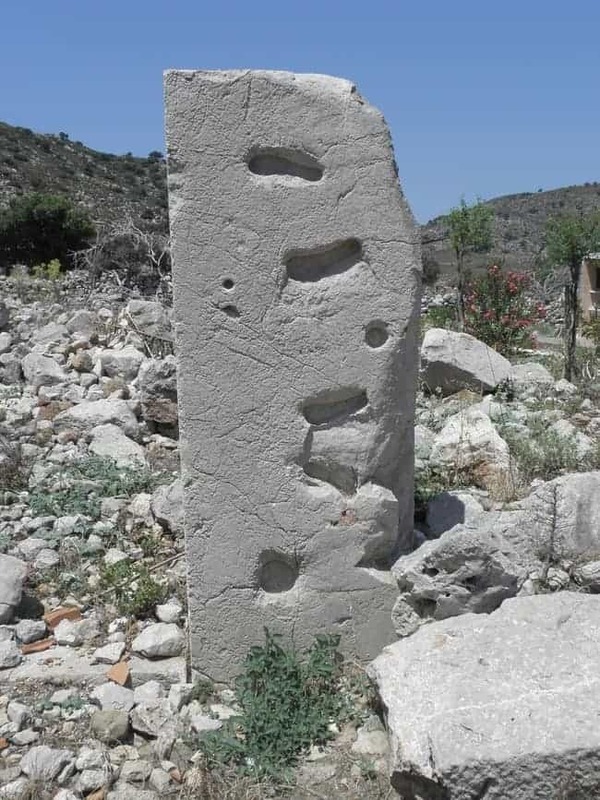 It is an archaeological site on the extreme southwestern corner of Anatolia, in the region the ancients knew as Caria, where a complex coastline consists of deep inlets and convoluted peninsulas sprouting further peninsulas. 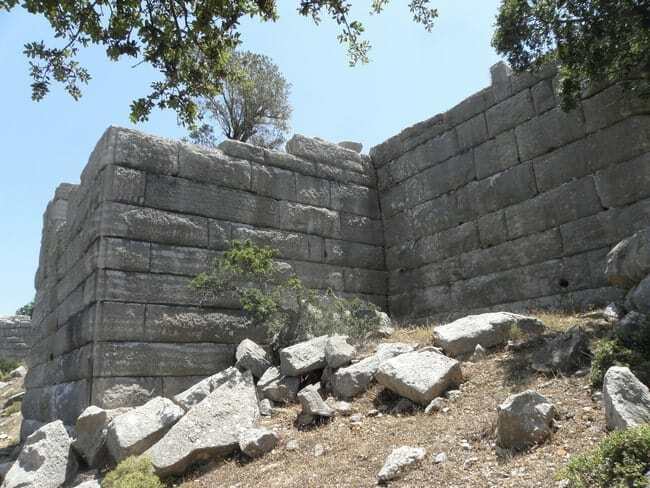 Located on the most remote of those, just opposite the Greek island of Rhodes, Loryma is quite simply the best-preserved and most complete example of an ancient Greek (Late Classical) fortification to be found anywhere, a site that is immensely striking visually, and also extremely easy to understand in terms of its structure and function. Locally, it is known today as Bozukkale, “the broken castle”. Loryma is, by the way, a key visit on all our Carian cruises. 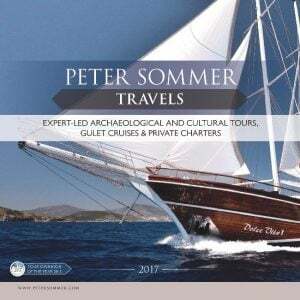 Most recently, however, I was able to present it last week to guests during a more or less accidental visit on this year’s Cruising the Dodecanese (inspiring this post), an itinerary that does not usually include it. View of the northern wall from below. Why should there be such a massive fortification in such a remote corner of the world? The reason is, at least mostly, a specific historical event. In the late 4th century BC, the city-state of Rhodes had grown into a major regional power centre, located in an immensely strategic spot along one of the ancient Mediterranean’s most important naval trade routes, which bestowed her with great affluence. During the ongoing wars between Alexander the Great’s successors, Rhodes had managed to stay on the sidelines, playing her own games for her own interests with great success. All this was to change in 305 BC, when the future Macedonian king Demetrios Poliorketes (“Besieger of Cities”), then ruling parts of Asia Minor and southern Greece, set his eyes on Rhodes, which was then allied with his arch-rival, Ptolemy I of Egypt. 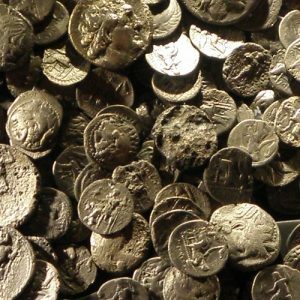 He assembled a fleet of over 1,000 vessels and a 30,000-strong army to engage in what was one of antiquity’s most drawn-out sieges (but not the last such event in the history of Rhodes). After a year of fighting, Demetrios had to call the siege off – Rhodes had preserved her independence and copperfastened her influence and wealth for generations to come. Loryma plays a key part in this tale. Its deep and protected natural harbour, only 23km (14mi) from Rhodes town, was used by Demetrios’ fleet as the main port and supply base. After the siege, Rhodes took steps to make sure this would never happen again. To prevent the use of the Anatolian mainland across the straits, she occupied parts of the Carian coast, incorporating them into the Rhodian state as what was to be known as the “Rhodian Peraia”. More specifically, the Bay of Loryma was secured by the construction of a major fortification soon after the siege, supported by a small garrison town and naval base. 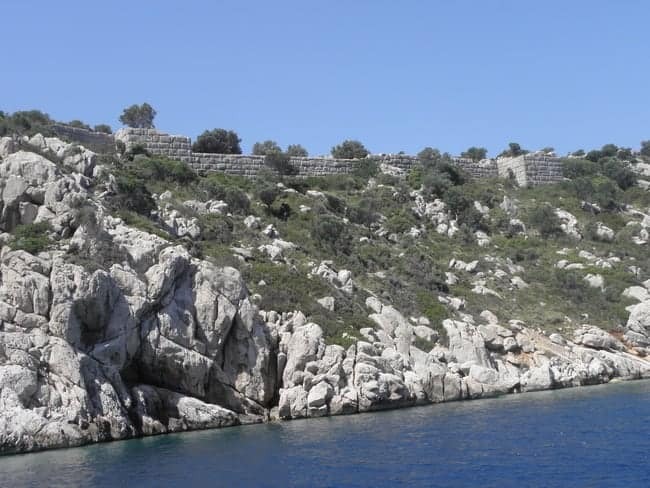 A closer view of the northern enclosure wall that overlooks Loryma harbour. That fortification is the most striking, but not the only, site to be explored and admired at Loryma today. Occupying the top of a long limestone spur that overlooks the bay from the south, the fortress is about 330m (1,080ft) long and up to 36m (118ft) wide. It is defined by a massive wall, incredibly well built and nearly wholly preserved, standing to a height of up to 8m (26ft) on the external side and entered by only two small gates. 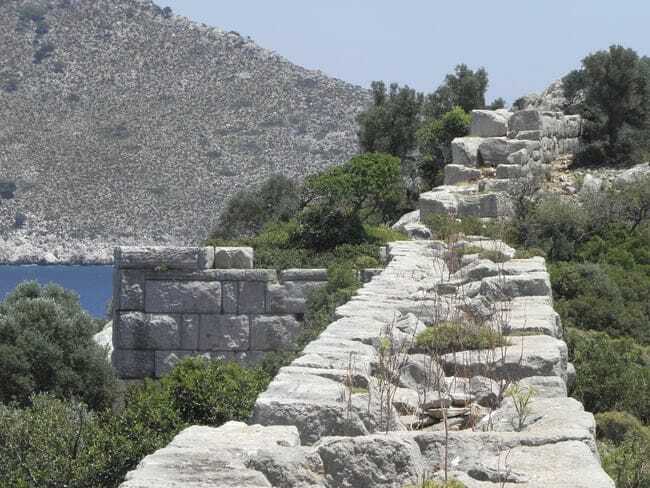 Typical for defensive walls of their time, they are constructed of locally quarried limestone, consisting of an inner and an outer face with a rubble fill between. Eleven towers, or rather bastions, are attached to them: a circular one at each of the western and eastern ends, plus four and five rectangular ones on the southern and northern walls, respectively. Their function is evidently to protect the external face of the wall from direct attack. The northwestern bastion is of special interest, as it contains a large window opening onto the harbour, which probably served for a piece of artillery to fire at enemy ships. A burial terrace in the hinterland of Loryma. Another fascinating aspect of the Loryma fortress are the various bits of evidence for the life of the garrison. There are two large rock-cut cisterns within the fort, which contains no natural spring, as well as scant foundations of internal buildings. Sherds of pottery are scattered all over, indicating the virtual omnipresence of that material for the transport, storage and serving of food and drink throughout antiquity. Most instructive, however, are the inscriptions found within the fortress and its vicinity, allowing small glimpses into the official life of the time. One, in the middle of the fortress, refers to Dionysos, the god of wine, theatre and other things. It probably marks a spot or shrine sacred to that god, underlining his significance within the world of the all-male garrison at Loryma. Another inscription, cut in the wall near the eastern gate, identifies a dedication to the goddess Artemis by the fort’s two first commanders. Their origins are identified as Karpathos, a small island to the west of Rhodes, and Tlos, one of several towns of that name in Caria, indicating the integrative character of the Rhodian state and army. 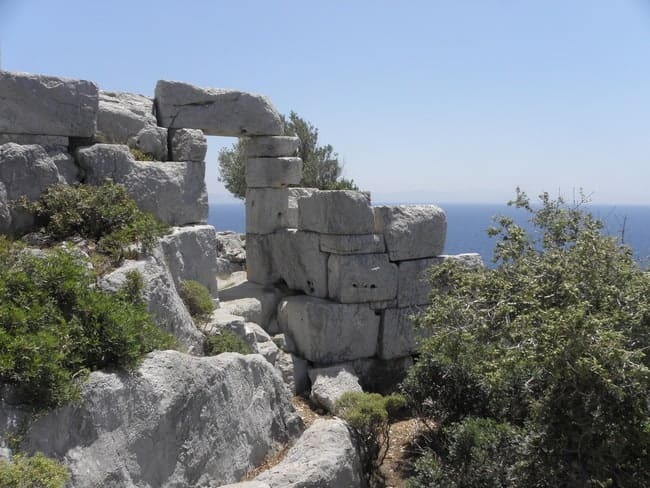 Just outside the eastern gate of the fort, an inscription in the sheer rock face points out an altar to Zeus Atabyrios, one of the chief deities of Rhodes, showing us how the island’s religious habits were spread throughout its territories. Base for multiple bronze(?) statues from the sanctuary of Apollo near Loryma fortress, with the cuttings for the statues’ feet clearly visible. There is more to explore at Loryma, including traces of the small town that supported the fortress and garrison and various small religious sanctuaries, marked by statue bases and inscriptions. The surrounding area also contains the remains of a series of small farmsteads, all of them constructed roughly at the same time as the fort itself, and each including its own rock-cut wine press. They suggest that Rhodes did not just use the bay for military/naval purposes, but also intended to settle its hinterland, making it a productive part of the Rhodian state and contributor to its economy (wine was a major Rhodian export). For reasons not yet understood, Loryma was deserted in the mid-1st century BC, and never resettled at any but the smallest scale, excepting the presence of a small Byzantine castle. 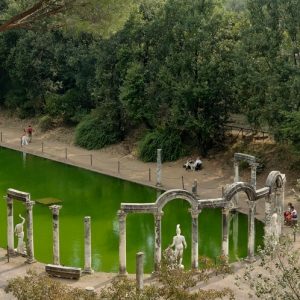 You can visit Loryma on our cruises along the Carian Coast, and explore it in more detail on our brand-new Walking and Cruising the Carian Coast.